Kigurumi is a Japanese fashion wear among kids that seems to be spreading faster all over the world than any other kids’ products. It is an exceptional animal costume that comes in different colors, designs, and sizes to fit the needs of every child. Children really love wearing Kigurumi Onesie outfits. If you have not yet tried it on your children, you probably should because they are amazing. 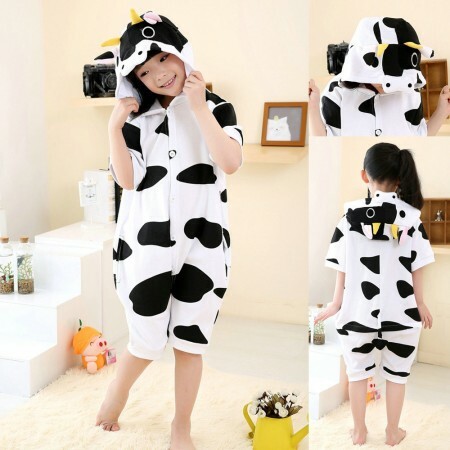 The following are reasons as to why kids love to wear Kigurumi Onesie. Kigurumi costumes are made of polyester fleece, which is a high-quality material for making clothes. The material is comfortable to wear for many hours without worrying about sweating or any other form of discomfort. They are soft, durable and long lasting for many years. They retain their original color and design even after washing them. Other fashions of animal costumes could be heavy and made of low quality material that makes children suffocate. They also do not last long before they start fading and wearing out. What more could make a children’s occasion more vibrant and fancy if not Kigurumi Onesie? Wearing these costumes has become a great hit for birthday parties, kids’ festivals, fashion competition, and pajamas parties. Since they are extremely fancy, the children can also wear them during day-to-day life for picnics, photo shoots and at home. Every child has a fantasy creature that they would love to mimic, either from reading story books or from watching animations. Children love watching superhero characters, cartoons, as well as reading story books about creatures like Batman, cats, dogs, and dragons among many others. Kigurumi onesie fashion brings this fantasy world into reality because it designs costumes that mimic such creatures. Children live up to such fantasies by wearing this fashion. Although the fashion originated from Japanese, the kigurumi onesie fashion is available across the world. Kigurumi fashion has a fashion that is warm and comfortable. It feels like wearing a blanket. These unique pajamas are suitable for kids because they will stay warm throughout the night and also when they are just staying at home. Since the children love wearing kigurumi, you will have an easy time taking your child to sleep while wearing these pajamas. Most of the children cry to wear these customized pajamas as they sleep. This shows how much they really love wearing kigurumi onesie fashion. Children wearing kigurumi feel good about themselves and are confident to play and to talk to other children. Wearing the fantasy character like a dinosaur or Pink Panther makes them assume the original behavior of such characters. It also attracts attention from people around them. If you want your children to have a happy mood and to be confident, let them wear the kigurumi outfits. The only challenge with these designs is that it is challenging to go to the toilet. Wearing that giant cat costume is fun, but the child cannot go easily to the toilet in them. Despite this challenge, the children still love wearing the kids kigurumi onesie. Buy one today and let your child enjoy the fun.